The eleventh Annual UNU-WIDER Lecture will be presented by Kemal Derviş on 6 March 2008, 16:00-18:00, at the Marina Congress Center, Helsinki on the climate change challenge. The world economy entered the 21st century expanding as rapidly as ever. Developing countries are now major drivers of global growth. But not all developing countries are benefiting equally, and the future prospects of those lagging behind depend crucially on how the world community responds to the challenge of climate change. The prevention of climate change has two important dimensions. One concerns its nature as a public good in a global context - and the fact that we may all lose out if we fail to respond. Another element relates very directly to development - because if our response to climate change falters, the impact on global development is bound to be disequalizing. The appropriate policy framework requires a system of incentives and transfers that is not only effective, but which also addresses the deep and complex distributional issues associated with climate change. Kemal Derviş is head of the United Nations Development Programme. 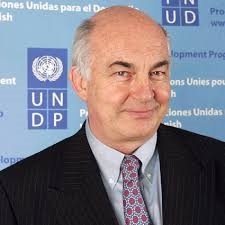 From 1978-2001, he held various positions at the World Bank including Vice-President for the Middle East and North Africa and Vice-President for Poverty Reduction and Economic Management. He has also served as Minister for Economic Affairs in Turkey from 2001-2002 and was a member of the Turkish Parliament from 2002 to 2005. Kemal Derviş has published many articles in the fields of economic development and international affairs. His latest publication is A Better Globalization: Legitimacy, Governance and Reform (Brookings Press, 2005).